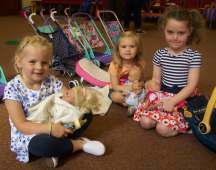 Playgroup re-opened in September 2018 with only eight children. This was not really a viable number so we were concerned about the future and if it could continue, but God had his plans for us and we now have sixteen beautiful 2, 3 and 4 year olds who really keep us on our toes. We have a very busy morning of craft, stories, songs and games as well as a vast selection of toys. A very busy programme of events, which I am sure the children will greatly enjoy. Please remember the leaders, children and their families in your prayers. is open on Tuesday and Wednesday mornings from 9.30am to 11.20am. It is staffed by volunteers from church, who in this way, share God’s love in our local community. 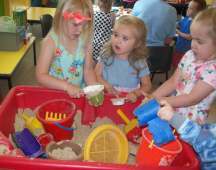 We care for children from 2 - 4 years of age, providing a safe, happy, stimulating and caring environment in which the children thrive and develop.